Jeremy Mage and the Magi - Site de cyprienrochat ! 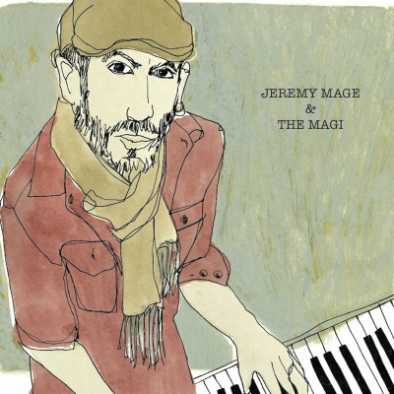 Jeremy Mage played B-3 organ in gospel church and broke his nose in a mosh pit, and then years later he broke it again on a Steinway grand piano. In between, he studied with Baba Olatunji, Alan Ginsberg, James Hurt, Fred Frith, Yusef Lateef, Srinivasan in Varanasi, and Pupy Pedroso in Havana. He toured worldwide as a multi instrumentalist with soul jazz artist Lizz Wright, afro beat queen Wunmi, and dub crew the Easy Star All Stars, and played on a Grammy winning album in 2012. The Magi , featuring musicians from Ghana, California, Brasil, and New York, (and even a background vocal cameo from Reggie Watts) weave a set of apocalyptic, hopeful songs.